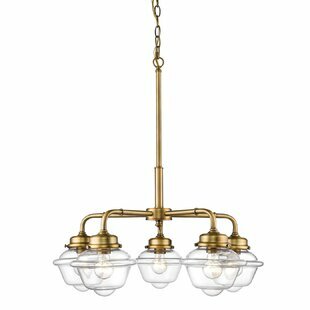 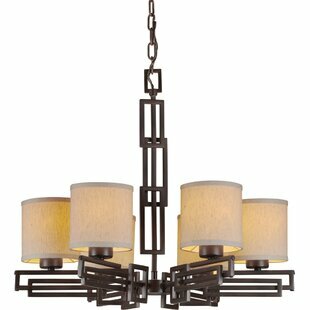 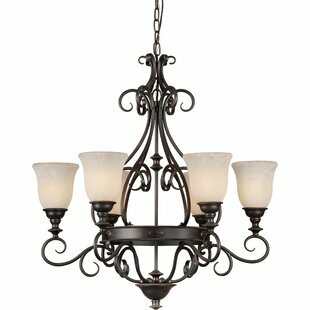 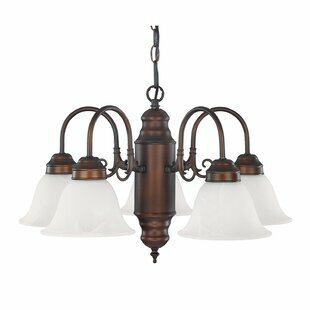 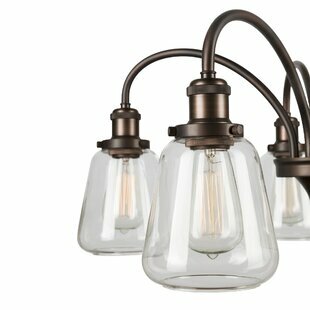 This three-light chandelier has carefully crafted details and special accents to achieve a vintage electric feel. 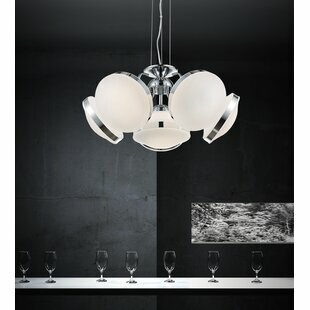 Stem hung design. 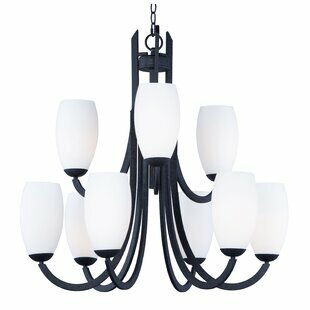 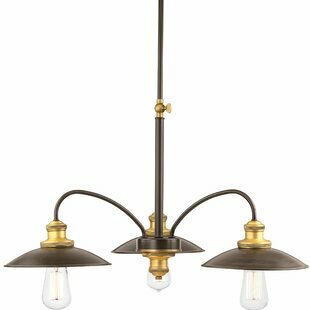 Number of Lights: 3 Fixture Design: Shaded Chandelier Adjustable Hanging Length: Yes Fixture: 15.75 H x 28 W x 28 D Overall Weight: 5.29lb.